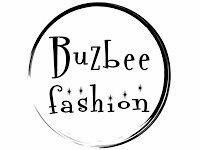 We are a new fashion company based in Florida. We are in the process of launching our ambassador program. As a brand ambassador we will send you a number of different pieces to style (all free) and all you do is post it on your social media and get a tons of free clothes and swimwear each post. After you post the first item we then will send out your new item after each post! You get to go onto our website and pick each item you want to receive! Would Love to chat further about how we could work together. Contra : Free clothing/swimwear for Instagram post!